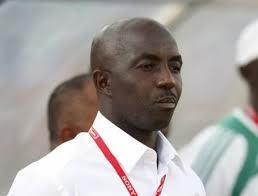 Coach Samson Siasia and his Dream Team IV boys have arrived Senegal for the U-23 African Cup of Nations. The Nigeria U-23 team have been in Gambia in preparation for the tournament which will also be the Africa's 2016 Olympic Games Football qualifiers. According to Nigeria Football Federation (NFF) departed Banjul early today where it has been camping for the past ten days. The delegation made up of 23 players and 10 accompanying officials flew to Dakar from Banjul aboard Arik Air. They have also arrived Mbour which will host the first group B games against Mali on Sunday, November 29 before battling Egypt on Wednesday, November 2 in Mbour and three days later play their final group B match against Algeria in Dakar.